When you truly need to get away, no accommodation can promise silence and serenity like a monastery. Many monasteries offer guest rooms at reasonable rates, some for an offering of your choosing. Before you decide to stay at a monastery, be sure to read all of the available information—these are not traditional bed and breakfasts. For example, some monasteries observe long periods of complete silence every day. Although certainly not for everyone, a monastic vacation can be a rewarding experience. These monasteries all welcome overnight visitors. Holy Cross Monastery: West Park, New York. Guests here stay in former monk cells, with a bed, dresser, desk, and lamp. Bathrooms are shared. Meals are taken with members of the monastic community, and the worship services are open to guests. The suggested donation is $70 per night. Mount Saviour Monastery: Pine City, New York. The men's guest house has 15 small, private rooms; the guest house for women and couples has two double rooms and three single rooms. Also available are three separate facilities, each with a kitchen area. The suggested donation is $40 per night per person. Society of Saint John the Evangelist: Cambridge, Massachusetts, and West Newbury, Massachusetts. "Directed" retreats (which include daily meetings with a monastery director) and individual retreats are offered. 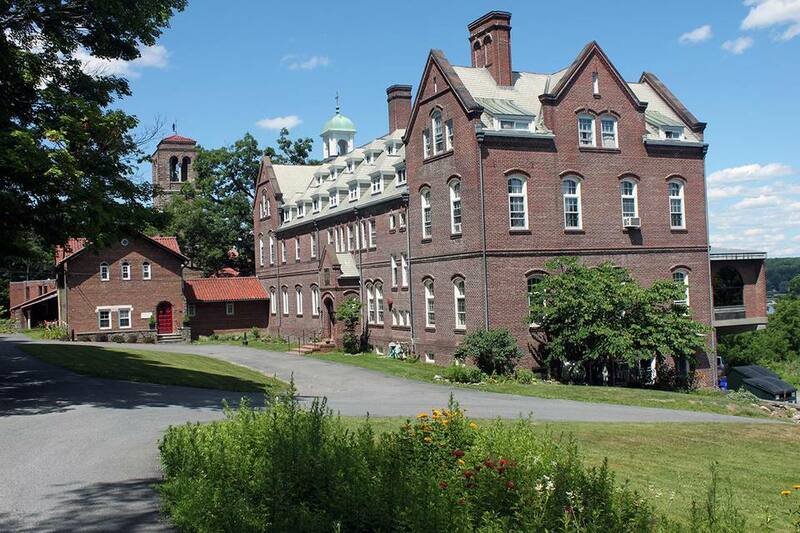 Facilities include the monastery in Cambridge and Emery House in West Newbury (45 miles north of Boston). The suggested donation ranges from $60 per night to $95 per night. Abbey of Gethsemani: New Haven, Kentucky. Guests have been received here since it opened in 1848. Guests are encouraged to assist the monks at the Eucharist and prayer, and monks are available for consultations. Each guest room has its own shower. Offerings are made on a free-will basis. Mepkin Abbey: Moncks Corner, South Carolina. This monastery offers accommodations to people for short (one to six nights) retreats and long (30 days) term stays. Visitors observe the same silence as the monks, eat the same vegetarian meals and can take part in the prayer services. The monks of Mepkin Abbey belong to the worldwide Order of Cistercians of the Strict Observance. St. Bernard Abbey: Cullman, Alabama. Guest rooms for men are air-conditioned with a common bathroom; women and couples have air-conditioning and a private bathroom. Guests eat with the monks; dinner is a formal monastic meal. Offerings are made on a free-will basis. Monastery of the Holy Cross: Chicago, Illinois. Individual guest rooms with a shared bathroom. Guests can join the monks in daily celebration of the Divine Office and the Eucharist. Monks are available for spiritual assistance. A $25 deposit is requested, but offerings are made on a free-will basis. Our Lady's Monastery: Coleman, Michigan. Four guest rooms, all with single beds (six beds are available; there is room for four more guests if sleeping bags are used). The monastery is located on the reservation of the Chippewa Indians in a rural setting. Daily rates are $40 to $50. St. Gregory's Abbey: Shawnee, Oklahoma. Specific weekend retreat dates are posted at this monastery's site. The cost is $62 per person. Two individual guest rooms also are available. St. John's Abbey: Collegeville, Minnesota. Individual and group retreats are available, with accommodations available for 12 to 15 people. On a "directed" individual retreat, you will meet with a spiritual director regularly (usually once a day). Men and women of all faiths are welcome. Assumption Abbey: Richardton, North Dakota. Period "monastic live-in experience" retreats are available at this monastery, but individuals also can make retreat plans at other times. The history of this monastery dates back to 1899. Incarnation Monastery: Berkeley, California. The main campus of the University of California at Berkeley is only a few blocks away. All available retreat space is for single occupancy; each room has a half-bath and a personal garden. Suggested donation is $60 to $70 per night. Buckfast Abbey: Devon, England. Guest houses are available at this monastery, which traces its roots back to 1018. It is the only English monastery to be restored and used for its original purpose after the dissolution of monasteries under King Henry VIII.